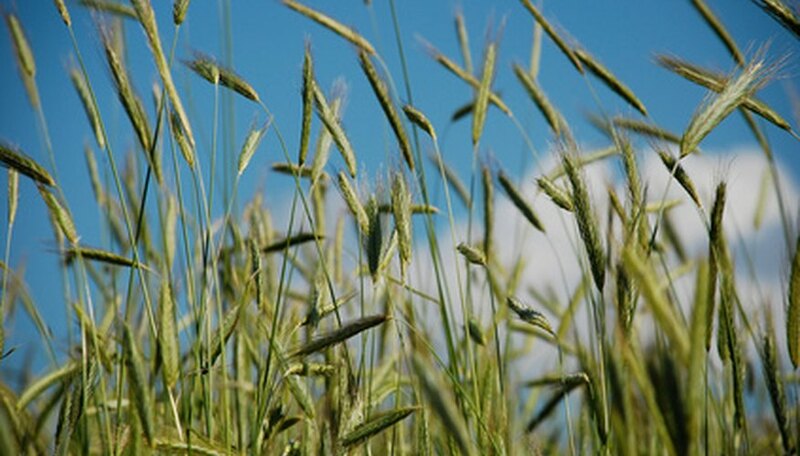 Rye grass has many benefits, including erosion control, soil improvement and forage. Unfortunately, rye grass is also an aggressive grower and spreader which can become a weed if it is not properly controlled. It tolerates poor soil conditions well, which can give it an edge over more desirable plants if your garden has less-than-optimal soil conditions. Fortunately, rye grass is fairly easy to kill. If rye is invading your garden or infiltrating your lawn, you can kill it by either mechanical or chemical methods. Wait for the rye grass to come up in the spring. Annual rye grass that overwinter usually comes up early in the spring and seeds in late spring. Turn over the soil once the rye grass comes up, but before it seeds. Use a rototiller or manually turn it over with a spade. This will kill the rye grass that is already up and prevent it from reseeding. Spray a glyphosate herbicide, such as Roundup, on the rye grass if you prefer spraying to tilling. Use a garden sprayer and apply the herbicide in the concentration recommended on the package when the nighttime temperature is consistently in the 30s or low 40s degrees F or above. Start applying glyphosate after the dew has evaporated and end your application before noon. If you wish to kill off small patches of rye grass without harming nearby plants, use a small hand sprayer. Wait two weeks to see if any rye grass survives or new grass grows. In some cases, you will need to reapply glyphosate. Reseed the area the grass was growing in with another species of grass or ground cover. This will help prevent any remaining rye grass seeds and other weeds from growing on your lawn.